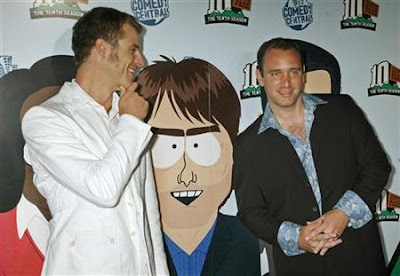 Viewers will get a look at Trey Parker and Matt Stone's thought process as they approach a new episode of SOUTH PARK and the 24/7 grind they subject themselves to each time the show is in production. The documentary also includes in-depth interviews with Parker and Stone about their working partnership and reflections on highlights from their careers. Step into the brains of the South Park creators with 6 Days to Air, a behind the scenes documentary of the show's production airing Sunday at 10/9c.